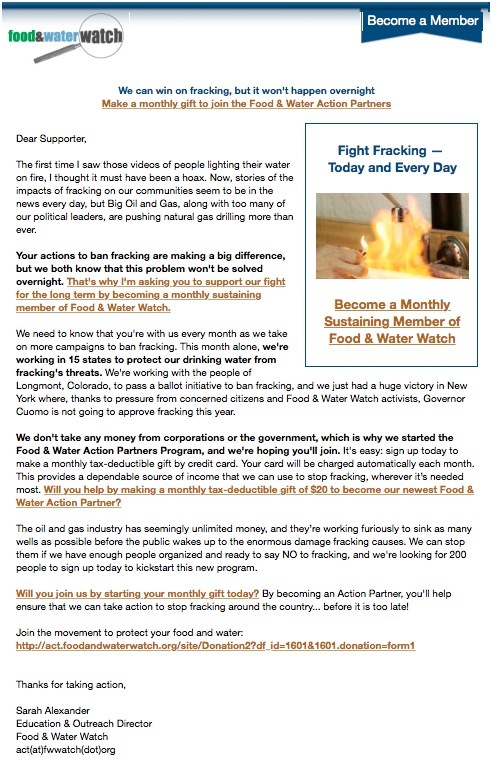 Food and Water Watch, one of many radical political groups operating as charities, hides its political advocacy in what are ostensibly fund-raising letters. Earlier this week, I discussed the Internal Revenue Service rules that are supposed to limit the political activities of charities and explained what appear to be gross violations of those rules by organizations such as the William Penn Foundation and its well-funded puppet groups. It’s outrageous how wealthy elites are getting away with exercising huge political influence under the cover of being “charities.” The abuses are nothing less than scandalous and they’re aren’t limited to the trustfunders and their phony foundations. There’s also the odious Food and Water Watch, which is abusing the system in an entirely different way. I’ve written about Food and Water Watch several times on this blog, telling readers about who Wenonah Hauter really is, the group’s extremist connections and radical philosophy, their money raising flimflams, their Canadian connections, both their dark and conventional sources of funding (Including the Park Foundation in the latter case) and the blatant political activities of their wacko representatives on the ground. 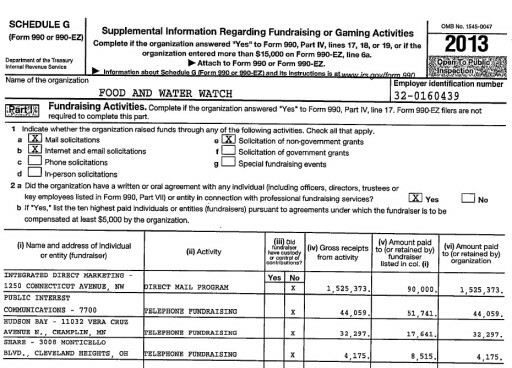 [Food and Water Watch] took in 75% of its revenue in 2012 from just two donor-advised funds; the the Greater Kansas City Community Foundation and the National Philanthropic Trust and no one will ever have a clue who’s really exercising the political influence. 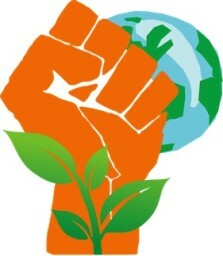 And, make no mistake about it, Food & Water Watch is a political organization. It may be classified as a “charity” but everything it does is political in nature. It also uses the NY-PIRG trick of setting up a companion 501(c)4 organization that supposedly is the separate political arm, but it simply loans that organization money from the “charity” side at no interest whenever it needs it. It’s also worth noting Food & Water Watch, in 2012, according to my research, received $8,971,200 from the two donor advised funds, $290,000 from the Park Foundation and $50,000 from the Rose Foundation for Communities and the Environment. That left $2,687,409 that came from public fund-raising of the sort we see in all those solicitations they send out. They spent $751,105 collecting money, so that represents 28% of what they didn’t collect from big-money groups. That’s a far cry from the 7.5% they’d have us all believe. This one, directed at Michiganders a while back, includes “10 fundraising appeals in a single 500 word email with eight of those linking directly to either the group’s general donations page or its monthly donations program, based on EID’s count.” Suggests it’s all about the money doesn’t it? That may not quite be true, though. It also has an overtly political message intended to influence legislation (e.g., the Longmont fracking ban), which takes us to how Food and Water Watch conducts these appeals. It doesn’t appear the form is completed properly as the last two columns to the right should add up to the third from the right, but we can still see what’s going on. Food and Water Watch paid Public Interest Communications $51,741 to conduct a phone solicitation and netted $44,059 from that activity. Its fundraising expenses in that case were 54% of what it received. They were 35% in the case of a similar effort by Hudson Bay and 67% for Share’s program. Notice how Line 26 refers to “joint costs…from a combined educational campaign and fundraising solicitation” which totaled $1.6 million in 2013. “Educational,” of course, means political in the case of Food and Water Watch, which is a scandal all by itself, and the split of costs is purely arbitrary on their part. Now, we see what’s happening. Food and Water Watch is making relatively little money from its fundraising program and it is hugely wasteful. They’re doing politics with their appeals and paying for it with the contributions of naive recipients who are doing little more than paying for the communication they received. Meanwhile, they’re raising mega-bucks from the Park Foundation and unknown dark money funders to cover the salaries and the expenses of the operation. You’ll have to look hard for anything in the way of true education, research or anything charitable. It’s all politics disguised as “education” and fundraising. Notice the 40% share going to the fundraiser. It’s a terrible deal and far, far different than what Food and Water Watch would have us believe about its fundraising expenses because the bulk of its money comes from rich elitists with agendas who don’t want their name known, except for couple of the usual suspects such as the Park and Sustainable Markets Foundations. Food and Water Watch is a farce from one end to the other. It’s purely political in every way as any casual observer can detect from its communications, its activities and its bragging. Yet, it enjoys a 501(c)3 tax-exemption that allows its mostly secret donors to get deductions for those donations. It’s a travesty and its way past time the IRS did something about it. Here is the USA we have plenty of food and plenty of water – PLENTY. To make believe that we need someone to keep an eye on this is the beginning of the magic trick you describe. The fact that you can describe it – removes it as a trick or even an illusion. As long as the national press give this junk traction – donations will follow. Please keep at it….Thanks. https://indypendent.org/2014/04/04/wind-waves-and-liquified-natural-gas So that money then results in the crap I am reading in the “news.” on how the currently proposed LNG delivery project of offshore of Long Island is probably a secret export project in disguise? What does that fall under– charitable public service announcement? https://www.youtube.com/watch?v=G3MxgtO5wCs Astonishing to actually hear the words ” ignoring reality” coming out of this guy’s mouth. http://www.villageindependentdemocrats.org/tag/eric-weltman/ Now that is an interesting “panel” of experts providing a public service I guess? http://www.foodandwaterwatch.org/pressreleases/hundreds-of-national-state-and-local-groups-urge-govs-christie-and-cuomo-to-veto-port-ambrose-lng-plan/ Perhaps Ms. Hauter should just run for an office where she can implement all the policies she desires. “Additionally, as the public comment period on Port Ambrose came to a close today, Food & Water Watch submitted more than 27,000 comments to the U.S. Coast Guard and the federal Maritime Administration opposing the plan.” How charming. 27,000 form letters which are “public” comments provided by organizers who it would appear have never even read a single piece of paper in the docket on the proposed project they purport to be experts on. How do you spell fraud? Karen – You could spell it Pipeline Investment? Ya see Karen, in light of the possability that the gas the average consumer buys is run for hundreds of miles one way and hundreds of miles back to where it came from, or so they would have you beleive? But then again who is watching to know for sure? And Kinda like the woman that got a hundred grand bill instead of a royalty check in PA! Infrastructure can get pricey for some yet low and behold, there,s plenty of profits for investors? That Karen , is what most of us see as fraud. Did you get a chance to watch that documentary on PBS yet? I still dont get it, why import when we have so much gas right here in the good ol US-of-A ? Is it a profit margin issue? Since it,s already on a ship why not float it to Asia where they have too little? Could it be that it would impact prices on other kinds of energy? So many dogs in the energy market hunt! So-o-o many fingers in the U.S.energy market pie! And Tom thanks again for another fact filled article on the funding issue! You and your staff are a true champions in this thankless fight ! Too bad the nasty crooks own all the mainstreem media. And too bad so many are strugling so hard to pay for all this.And Tom ,sorry I got off track on the subject issue! AND REMEMBER BOYS AND GIRLS. 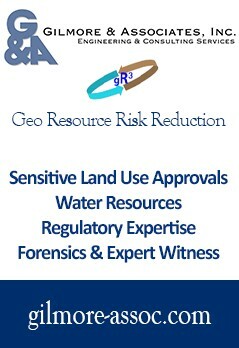 PERMITS BEFORE PIPES-ALL NY OR NONE! Karen is more than capable of defending herself, but I think you’re missing her point. She’s not an advocate for either Rockway or Port Ambrose. Rather, she’s simply someone who’s had it with the fractivist game plan, which undermines any reasonable discussion of either project by individuals like both of you who have concerns they’d like to express without being drowned out by know-nothing radicals. I love the commentary from both of you and don’t want this to descend into an argument among friends. None of us what to see useful idiots such as insane Sane Energy prevail. Thanks Tom. Correct on my motivation exactly and what I am tired of. If Freegas is looking to seek out the point of view of those actively advocating for the Port Ambrose project and their stated motivation they are findable. I would suggest these folks as mentioned in that article: http://area-alliance.org/index.php/about-us/ It would seem that they support Marcellus shale production in New York state although that will not be happening, but also the port ambrose project.